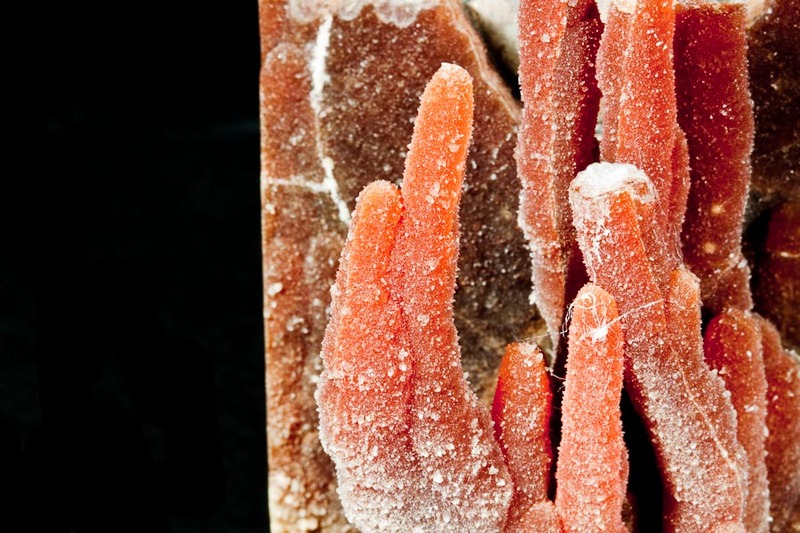 Comment: A striking and beautiful specimen of translucent, deep red-orange calcite stalactites on limestone from a classic older Montana locale - Carter County. 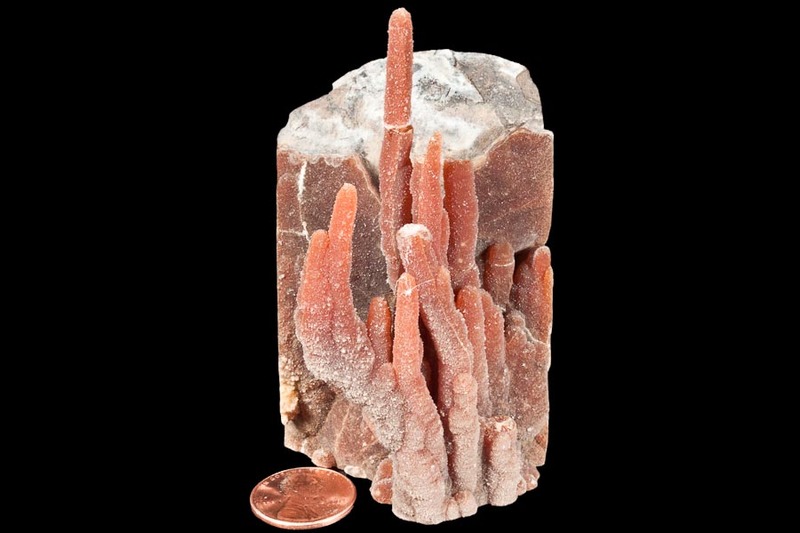 The calcite (often referred to as aragonite in this material...I was told that the analysis had been made) stalactites of Carter County are renowned for their form and color and came out in the 1970s, I am told. A few broken tips are noted but still, it is very dramatic. Carter County is in extreme southeastern Montana in the Paleozoic Williston Basin, an area not known for fine mineral specimens. There is a whole zone of this shale with these concretions and they have "stalactites" like this along with barite and other minerals. No caverns though...not a cave formation per se. This is an uncommon highly representative example. The base, sides and back have been sawed to enhance the display angle so it can sit easily.